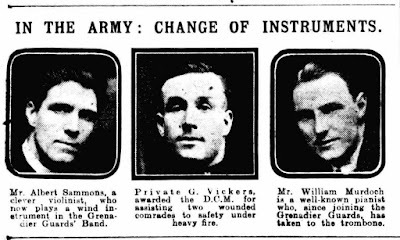 Albert Sammons (1886-1957) and William Murdoch (1888-1942) performed regularly together in chamber concerts during 1916 to 1917, both had joined the army and were travelling around the country dressed in khaki as part of the propaganda effort on the home front. 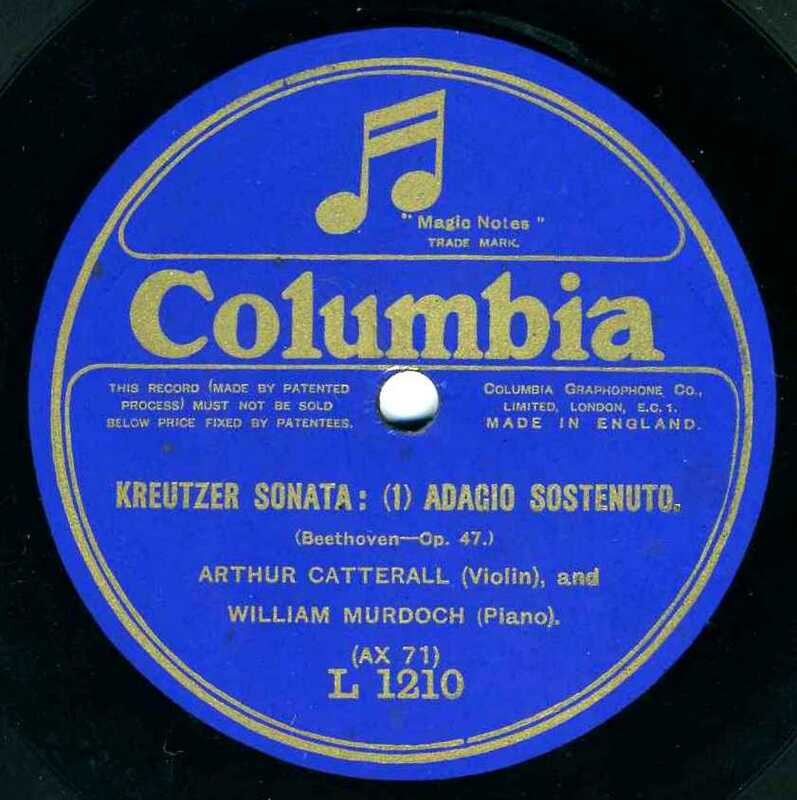 Columbia in order to enhance their ongoing expansion into orchestral, instrumental and chamber music repertoire recorded the duo in a number of recordings including both the Beethoven's Spring and Kreutzer sonatas, incidentally the first recordings to be made of these two compositions, even though they were savagely cut. They were sonically primitive and even Columbia thought they needed replacing in the catalogues by 1923 when Murdoch was now paired with Arthur Catterall, Sammons having become an artist for Aeolian Vocalion. 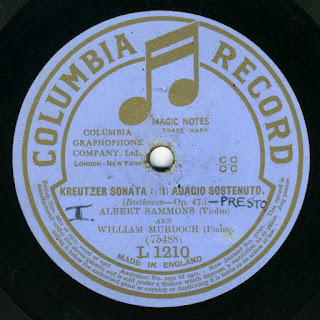 When the Western Electric system was introduced Sammons and Murdoch made their complete recording in 1926, again for Columbia. 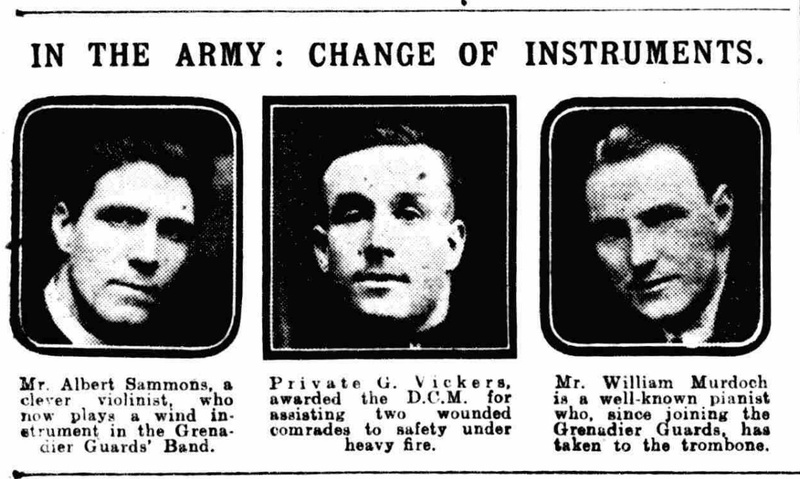 Both musicians had to learn a new instruments as part of their army training, Sammons had to learn a wind instrument, (which one?) in the Grenadier Guards and Murdoch the trombone. Murdoch was unfit for service and sent to Scandinavia for light duties which effectively split the duo up. I have been away from posting anything for quite a while, and the main reason that I'm stuffing something onto the blog now is because I was not well satisfied with the way I was making my transfers and decided to try a different approach and see if anyone thinks it is an improvement. I'm not looking for a clean sounding reproduction, but instead an improvement in the dynamic and timbre of the instruments. I have to warn you here this means my transfer are more than a bit noisy but hopefully with better fidelity to the original performance. 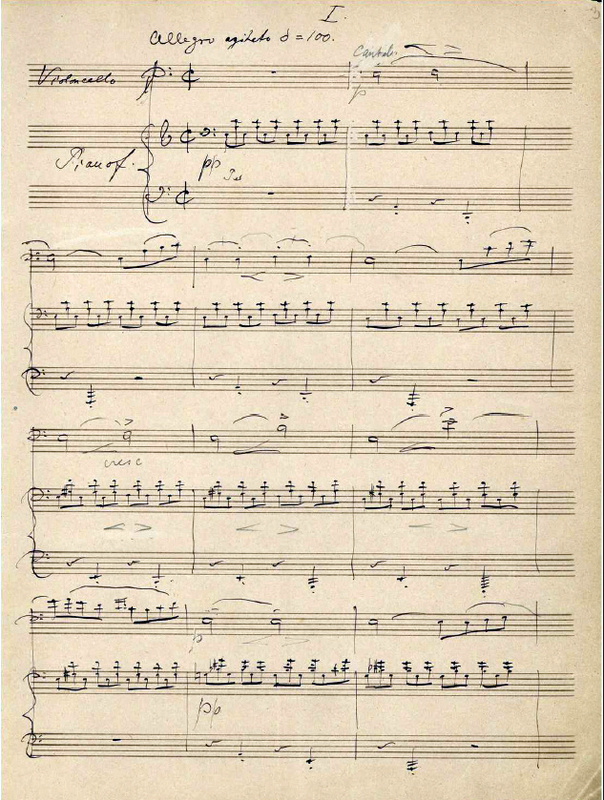 'One critic said that it wasn't always possible to pick out the melody in the piano part, and that the violin should keep under in parts to allow the piano a chance to stand out more clearly in its solo passages. This, however, is no fault of the ensemble of the players; both Catterall and Murdoch are pastmasters of chamber music playing, but to have as perfect a performance as one could get on the concert platform would entail more than the present amount of expense and work allowed for recording. It would be necessary to have two or three finished records, so that the player could (pencil and music in hand) mark every passage as they listened, so as to be able to give and take accordingly for the final and master record. Even then a good deal would be left to chance. 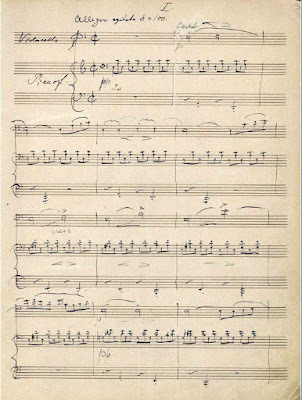 At times it would be necessary for the violin to play very softly to allow the piano its equal share of tone; also the pianist would at times require almost to overplay in order to get the balance right, owing to the fact that in many passages of difficulty the violinist wouldn't always find it possible to play softly enough, and generally the piano is harder to "get through" when the two instruments are going full strength, unlike in a concert hall, where it is generally the reverse. Also the violinist is nearer the horn when recording. 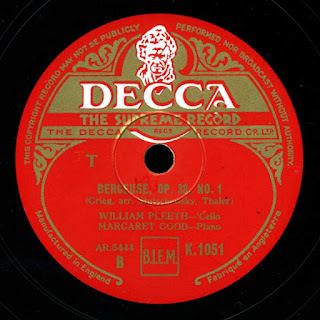 'Producing records is, after all, an expensive venture, and it would need someone in the nature of a millionaire to make the possibilities of recording as we should like to have it, and to cater for the public requiring perfect records. 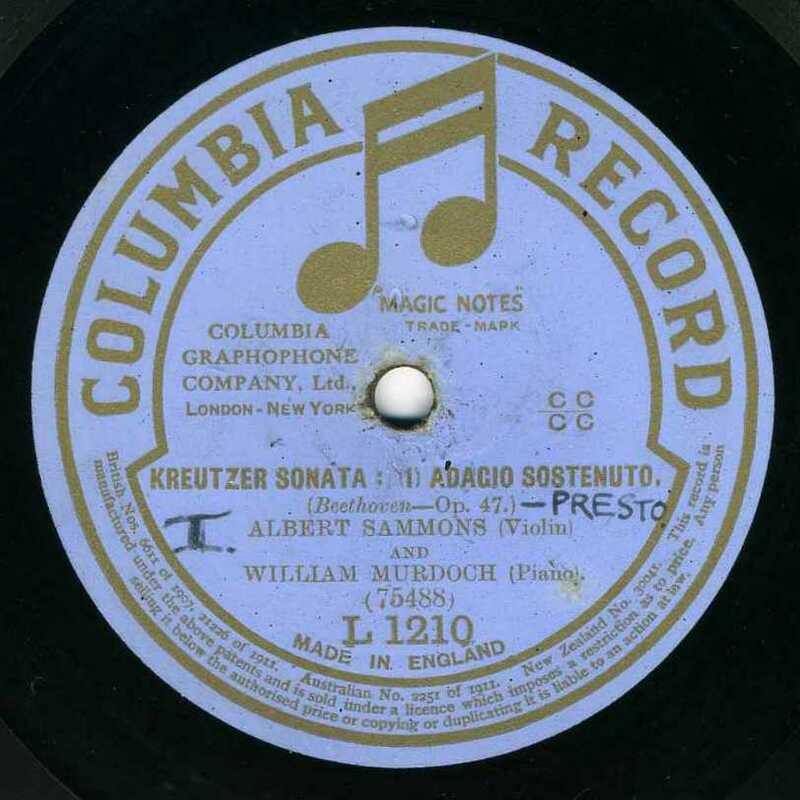 Now it is interesting that Sammons thought that the results in 1924 were 'a hundred per cent better than it was a few years ago' that is when he made the 1917 Kreutzer recording, and it is true that the recording, as fine as it is for 1917, is really something of a travesty when put against recordings from the introduction of the Western Electric system. There are two main factors in the original recording process that are against getting a modern balance, firstly the position of the instruments would not be that found in any normal setup, we know this from surviving photographs of recording sessions and Sammons describes above how it was in the studio when making a recording with piano. 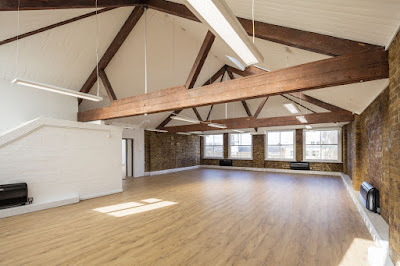 Secondly the room used was not designed for making a pleasing sound, say like a concert hall, but instead adapted to project as much of the sound into the recording horns as possible. 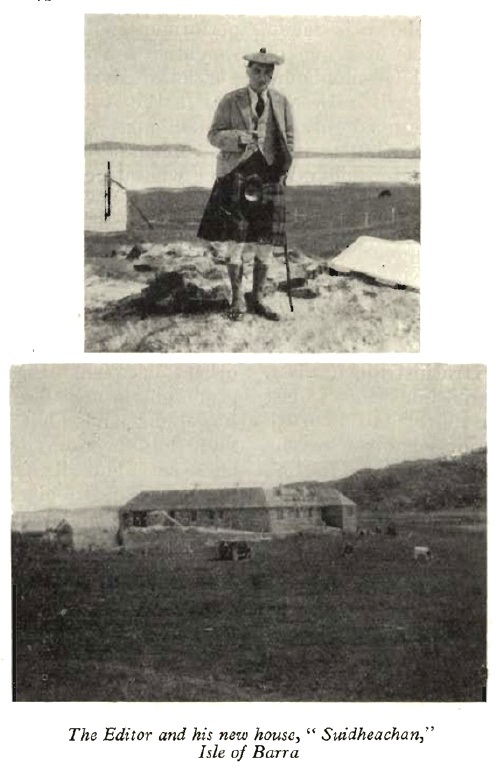 Our pioneering recording engineers, or 'experts' would have worked backwards from a successful recording, having previously noted down the position of instruments, together with the size and arrangement of the recording horn or horns etc. Over time this was refined until something that sounded marketable could be achieved. 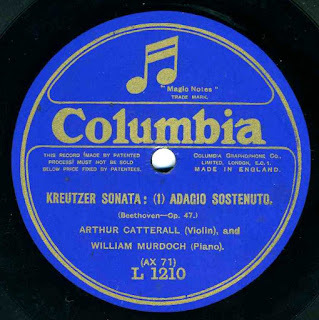 In the Kreutzer recording the violin was quite close to a recording horn, the piano however, producing as it does more sound energy, would be further away and probably two horns were used in this recording with one positioned to record each instrument at their optimum distance and then mixed down through a connector and directed to the recording diaphragm. 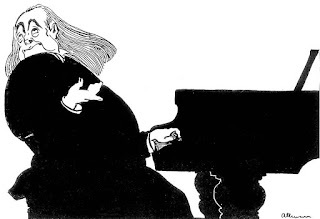 Although the sound in the studio would be a bit odd and unbalanced to those playing, it would however translate into something approaching an identifiable performance a when played through a contemporary gramophone, although in order to avoid blast, or even broken grooves, especially in the lower octaves, the piano had to be recorded quieter. 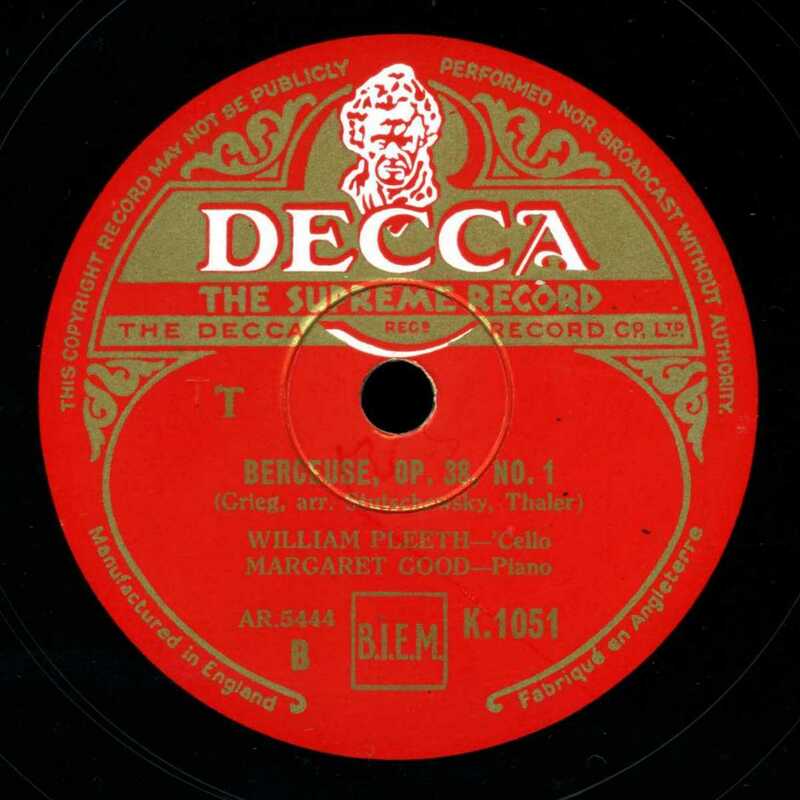 The studios that these recordings were made in also produced quite a lot of reverberant hard sound, the size of the room was often modest and the walls were very often panelled with wood with no soft or absorbent materials being present. In early recordings this spacial ambience cannot be heard very well, however it holds that it must be in the grooves, as indeed should the timbre of the instruments should be too, if all a bit faint and distorted by the recording equipment. Below is a photograph of the recording room that Sammons and Murdoch used as it appeared a few years later, it may give an idea of what this room probably sounded like. 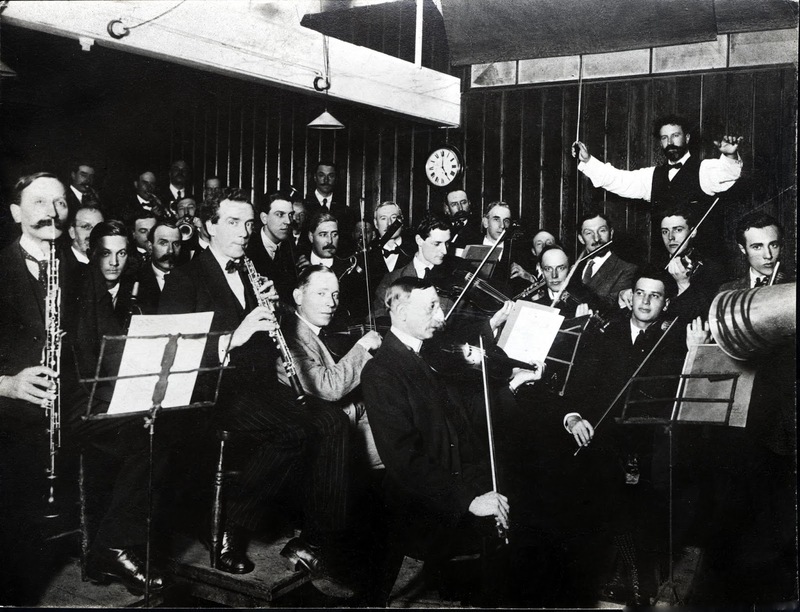 Recording Liszt Hungarian Rhapsody No.1 with the New Queen’s Hall Orchestra and Henry Wood in the Columbia studio in Clerkenwell Road probably on 20 December 1921. So the sound I found myself looking for was to ignore the balance and approximate something as best I could to the timbre that instruments should make. This would mean also that the instruments would be unbalanced, and as Sammons states the loudness of the violin and piano would be reversed in comparison to a modern recording. Also some more obvious ambience should be now audible and hopefully result in, if nor all, at least a much greater increase in the upper and lower harmonics - something of a tall order. 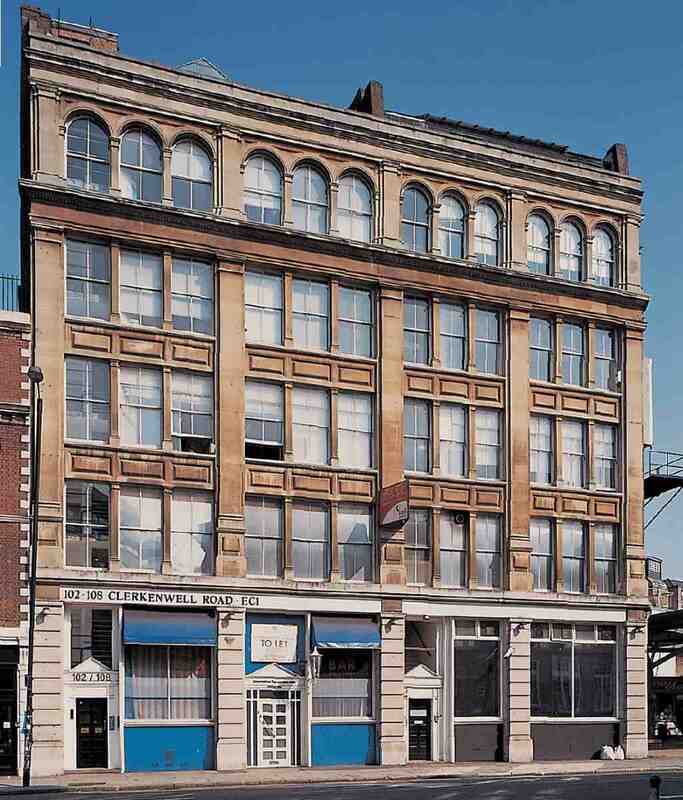 Columbia's offices and recording studio at 102–108 Clerkenwell Road. London. With that in mind I reverse engineered the recording to an approximation of the sound that could be heard in the recording studio and did this by looking at how the sound energy of each frequency could be equated to a modern recording over its frequency range, this method also avoided using any subjective balancing by ear. I found that the problems with using ones hearing, except in the fine tuning and final stages, is that you just can't help pulling towards the sound you want rather than the sound that is actually incised into the grooves, a process that results in introducing your own layer of sonic distortion. There are two unfortunate 'side-effects' with my approach, the first is that the noise level is greatly increased as various recorded frequencies of the instruments are often masked by the surface noise of the original recording, sometimes quite severely. If filtered out, and as yet there is no way around the problem, we would quickly loose something of the music. The second problem is of course the balance of the instruments is a bit wrong. The piano in the Sammons and Murdoch Kreutzer recording sounds far away and generally fainter, but with the advantage of more fidelity, quite a lot of ambience together with the bonus of lower and upper octaves more easily heard as indeed are the overtones on both the instruments are too. The violin being so much closer to the recording horn produced a less resonant sound and in some places, as when the strings are plucked at the end of the first movement, you can hear quite well the sound echoed inside the recording horn with some incidental resonant frequencies of the metal horn making their appearance. Although the surface noise can be more than a little bit annoying at first the filtering mechanism in our brains is well adapted to cope with it and hopefully to a greater or lesser degree allows us to more easily loose ourselves in the performance rather than having to make allowances for the odd acoustics of the original recording. We often hear that the acoustic process could not record certain frequencies but this is not the case, they are there, but both a little messed up and then masked by a lot of noise - a purely mechanical recording process must pick the sound up but as when looking through an ancient window pane the light and image transmitted through the glass is all a bit distorted even though we find it difficult to work out what we are seeing light and image are transmitted through the glass. This whole exercise would not be very commercial enterprise but then as I am looking to understand, enjoy and evaluate a performance, in this case one which is over 100 years old, I'd rather hear a 'warts and all' sound than iron out all the imperfections in the recording process and therefore kill the performance in the process of restoration. Apart from the re-balancing of the recording only de-click, de-crackle and the removal of the more severe rumble below 100Hz or so has been applied. As you may think this is all guff, any comments or suggestion are gratefully receive! Well if you have got this far down the page I have added the Arthur Catterall (1883-1943) and William Murdoch version issued on the same catalogue numbers for August 1923. Still an acoustic recording but better in some ways although by this time the process of making records with a quieter shellac, and the recording equipment much modified and generally improved. The position of the two players however seems very much the same and if anything the piano has now been moved even further away. The cellist William Pleeth is probably best remembered for his association with Edmund Rubbra and as a teacher to Jacqueline du Pré. 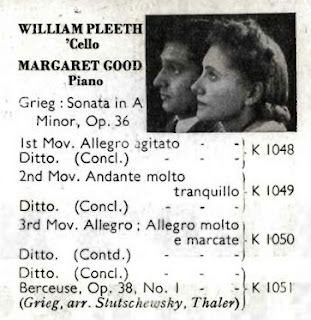 Alas his wife, the pianist Margaret Good, is maybe less well known and probably hardly remembered at all. 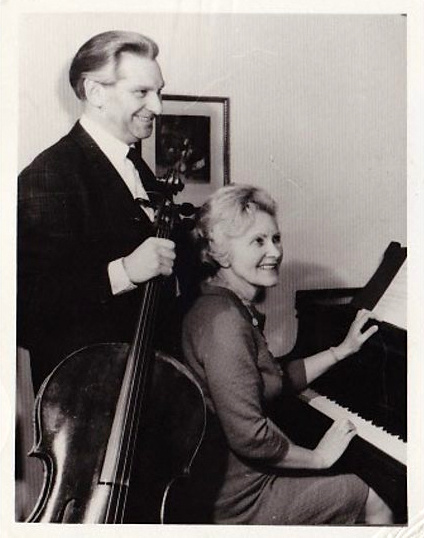 From the late 1930's to the early 1970's the couple were to some extent fairly regular contributors to BBC programmes and also to concert life around Britain. Their main commercial recorded output was chiefly restricted to the early 1940's, together with the odd work doted about the following decades. A certain snobbishness for musicians with foreign, rather than British sounding names, is alluded to in Margaret Campbell's The Great Cellist, Gollancz, 1988. I wonder if this is the case for all performers who can only find proper acknowledgement in foreign fields? All other Decca recording issued by these two fine artists can be listened to and/or downloaded from CHARM through this link. I think [something I do need to check!] that takes -1, -2 and -3 were recorded in March 5th, 7th & 10th. All of these takes failed to be passed as satisfactory so another session took place on the 27th May. This session produced two takes of each side, -4 and -5, and it is from this session that sides for the published set were chosen. In all probability the work was recorded in the smaller No. 2 studio in the basement of Decca's West Hampstead building. This studio was pressed into uses that it was not intended for during the war, and it may account for the sound we hear. Tension was maybe a bit high on the 27th of May, as a couple of weeks earlier, on the night of the 10th & 11th May 1941, London had endured it's worst bomb damage of the war. The quality for the recording is trifle close miked with not much reverberation, some forte passages are also bit full on, a combination that does not really help the piano tone much. The shellac of my copy is abominable and the condition is not to great either, still, being enthusiasts, we are not too concerned with these trifling distractions. 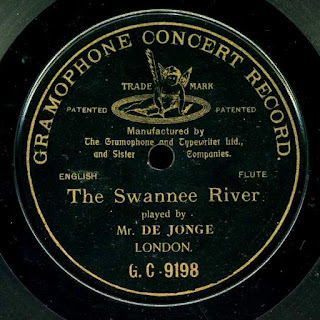 The original recording wavers around 79-80 rpm to produce A at 440Hz [see my footnote on this]. Margarate Good was a very interesting pianist, she studied under the great Tobias Matthay and then evolved her own style with the incorporation of the Leschetizky 'method' - I'm not quite sure what that really means, except the playing is both very fluid, exciting, almost a hard driven sound, that still retains a very musical view of the composition without being simply technically brilliant. Klengel is important link between Grieg, for although Friedrich Ludwig Grützmacher premiered the first public performance of this work with Grieg at the piano on 22nd October 1883 in Dresden, it was Julies Klengel on the 27th October, again with Grieg, who gave the next performance at Leipzig. I hazard to even guess how the work developed in Klengel's mind over the next 50 years; further the very idea that Klengel ever produced a pupil that sounded anything like him is a misnomer. He would, I understand have guided Pleeth, but only in the possibilities the work afforded a player, not how Pleeth could interpreted it. So we have a performance of the work which has connections with the composer but we can't really say more. The records remained in the catalogues to 1948 or thereabouts, dispatched to the deletion list when lots of other pre-FFRR recordings appeared together with the first tentative LP's. Instead of the obituaries etc., readily available online, I have transcribed the entries of this musical team from publication nearer in date to the recordings. 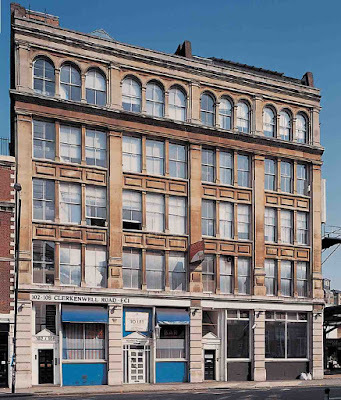 Russell Palmer's British Music, London, Skelton Robinson, . These entries, I hope give a better idea how they, or possibly their agents Ibbs & Tillett, thought to have the couple promoted. I have dubbed this recording at A = 440Hz. 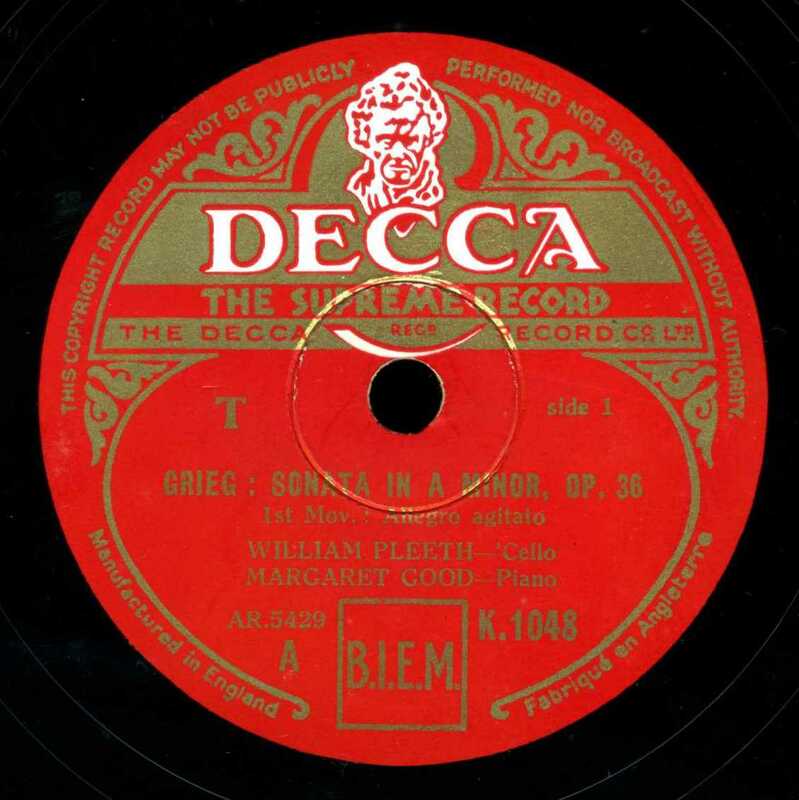 This is not to claim that the recording was actually recorded at 440Hz for when played at 78rpm it is actually at a quite acceptable A = 435Hz. However their is a trace of a 50Hz hum, now all thing being equal that would be a good baseline to calculate the correct speed. This was after all the frequency used for most of the UK alternating current mains electricity at this time. Or rather it would be nice to use this baseline but in this recording the hum is around 49Hz at A = 440Hz. So it should follow that the recording maybe be then in a higher realm and play even faster at say around A= 445Hz. Ah but there is here a fatal flaw in this argument. Unfortunately this 50Hz cannot really be relied on to solve our pitch problem. During times of scarcity (wartime), or high usage (when everyone put the radio on for the 6 o'clock news whilst plopping the kettle on for a soothing cuppa) the national grid did drop the standard alternating frequency of 50c/s a tad so that there is less strain on the system. The net effect for users is their voltage stays constant but your kettle takes longer to boil - A digression: their is a neat way they avoid this problem today which you can see here. During wartime this frequency could drop as low as 47c/s which in turn would produce a hum of 47Hz. Much below this frequency you can collapse the grid system and cause blackouts. So the hum actually proves very little, so to avoid madness, I have recorded at the supposed standard in the UK for this period at A=440Hz. I've been away from this blog since 2015 so as this is a New Year and time for resolutions, I thought also to do something to distract me from the real world. Not sure if my resolution or the world will stop first but I won't think too deeply about that for now and just stick to the music. 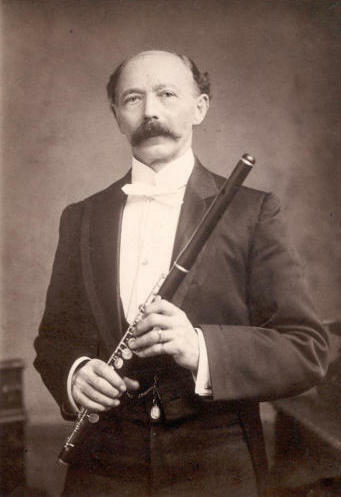 Edward de Jong (1837-1920) is the oldest surviving flute player to have recorded. I find it quite staggering that someone who played flute with the Gewandhaus Orchestra in the 1850's can even be heard today, but that he also played with Jullien's Orchestra also before he went on to become first principle flute of the Hallé Orchestra at its inception 160 years ago even more amazing. Louis Antoine Jullien (1812-1860) is now rather difficult to assess, he was certainly a showman, probably a charlatan, certainly a bankrupt fleeing his Paris creditors and lastly mad. Little wonder that his career was so interesting having to live up to his full name of Louis George Maurice Adolphe Roche Albert Abel Antonio Alexandre Noë Jean Lucien Daniel Eugène Joseph-le-brun Joseph-Barême Thomas Thomas Thomas-Thomas Pierre Arbon Pierre-Maurel Barthélemi Artus Alphonse Bertrand Dieudonné Emanuel Josué Vincent Luc Michel Jules-de-la-plane Jules-Bazin Julio César Jullien. Despite the bejewelled baton, the gold chair and certain enhancements of the storm sequence of Beethoven's Pastoral symphony by shaking vigorously a large box of dried pees, Jullien generally did try to bring more 'serious' music to his concerts despite the boos from his devotees! 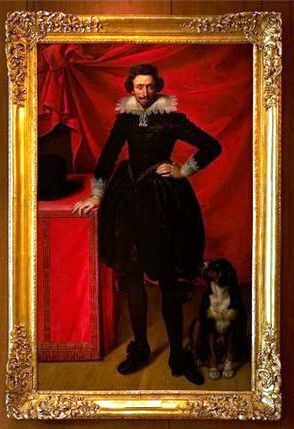 of Henry Duc de Guise. This was exhibit 514 and lent by the Spencer family at Althrop. It is still there in the same frame, so to add some colour it is shown in at the foot of this page. In 1856 Charles Hallé was asked to form an orchestra for the Art Treasures Exhibition at Manchester that scheduled to open the following year. 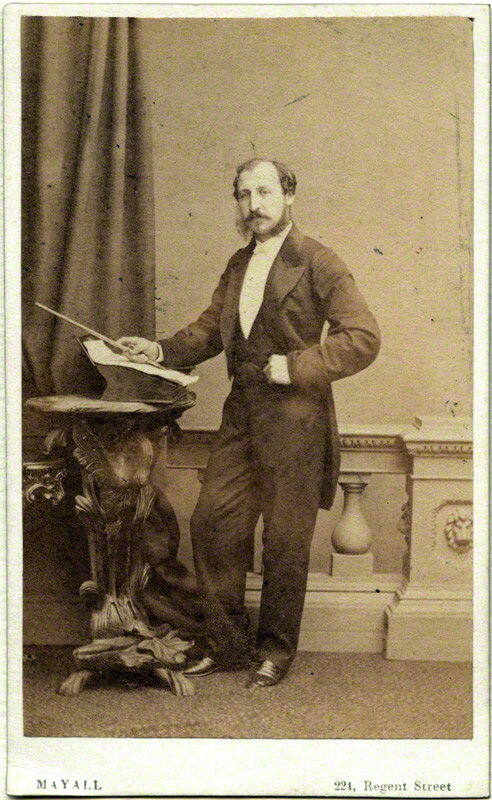 The first concert was held on the 6th of May 1857 and it is quite probable that the jubilee of this event prompted de Jong to make his recordings fifty years later. De Jong, recalled that he had been interviewed by Hallé in London before going to Manchester to perform with the Orchestra at Manchester which was made up from an amalgam of Jullien's and Hallé's musicians. This event must have been of some significance to de Jong by 1907 and surly prompted the recordings. 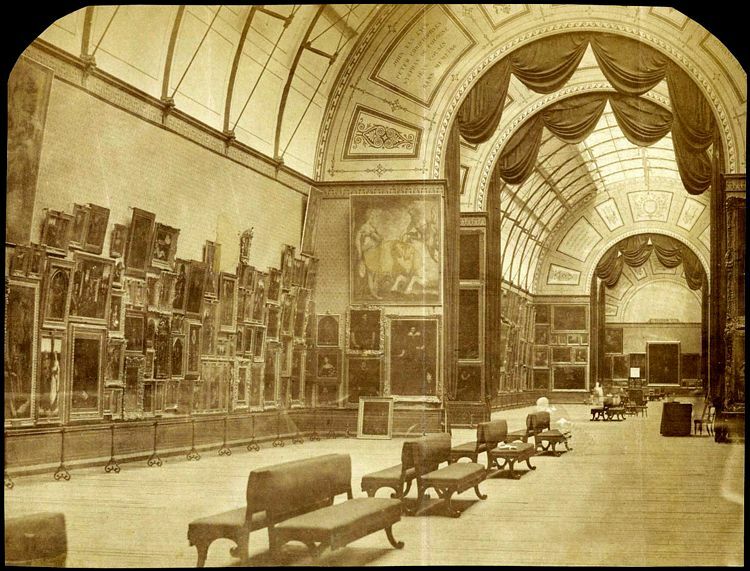 This exhibition although not as famous as some, probably had the largest collection of art put ever put together in one place. Edward de Jong looking left! He clearly preferred to stay in Manchester and on the founding of the Hallé Orchestra in following year de Jong became their first principle flute participating at their inaugural concert on the 30th of January 1858. De Jong held this position until 1870 when he left to established his own orchestra at Manchester, much to Hallé's ire. 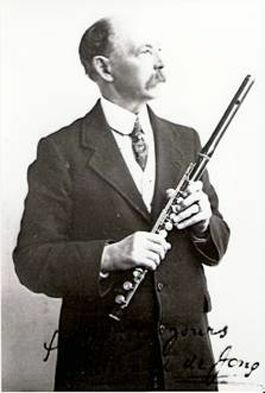 Much of de Jong's time was then taken up as an active conductor at the large exhibitions and popular resorts including posts as Musical Director of the Winter Gardens in Blackpool, Southport and Buxton. 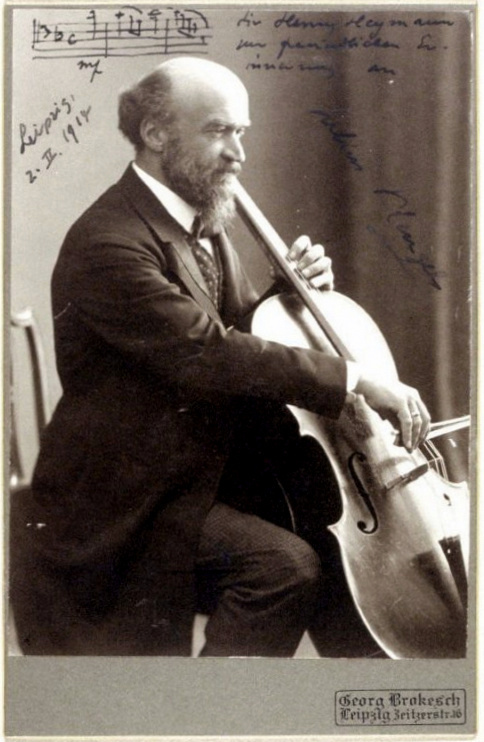 He was something of a showman in the Jullien way, although without anything like the same extravagance, he did not as Hallé aim to satisfy the public with too serious a program of classical music but aimed at the lighter and more popular music of his day. 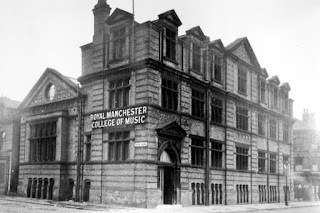 From 1893 until 1906, de Jong taught flute at the Royal Manchester College of Music before retiring from this position in 1907 at the age of 70. A fuller account of Edward de Jong career and the other flautists of the Hallé can be read and downloaded through this link Stuart Scott's Hallé Flutes: Flautists of the Hallé Orchestra 1858-1993. Historical account surveying the contributions made to music making in Manchester (UK) by the Hallé Orchestra's flautists over a period of 135 years. Sale, Chester, 1998. Alas the copies I have are not in the best of conditions. They appear not to have lasted in the catalogue more than a year although Auld Robin Grey got to a second stamper showing some popularity but The Swannee River may only have managed a first stamper. With the opening of the Hayes pressing plant it appears not to have proved worthwhile to transport these matrices with the other 'English' titles from the Hanover pressing plant and instead they would have been destroyed with other redundant material. 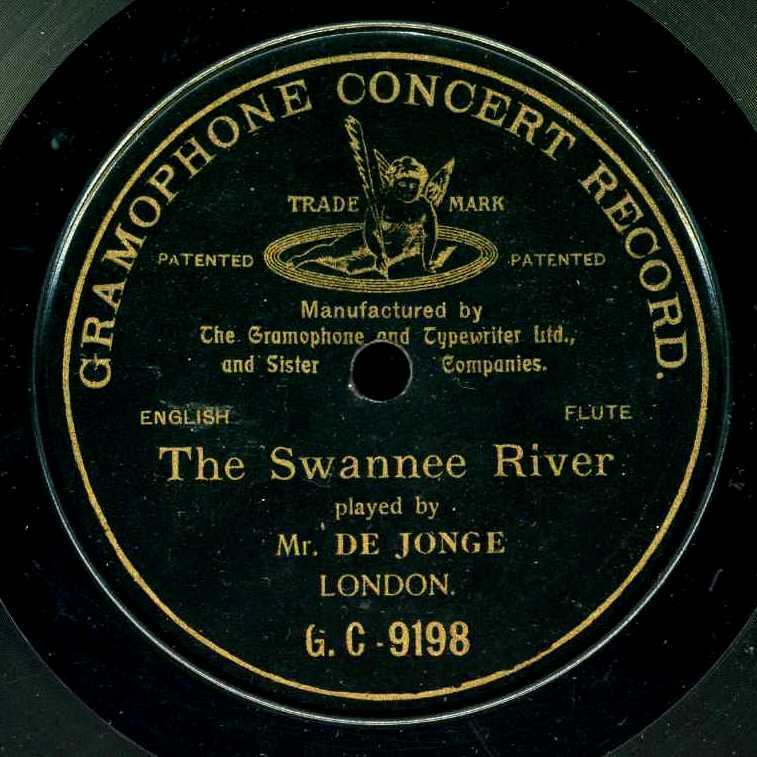 The spelling 'de Jonge' on The Swannee River label is likely to have been miscommunication between London and Hanover, indeed the name is spelt 'De Jange' on the recording sheets, seems very unlikely that the record was withheld for such a reason a more likely reason was the records wore out quickly on earlier gramophones. Another point worth pointing out are that very few recordings were issued of the flute by G&T up to this time. In total twelve 7" sides and seven 10" had been issued before De Jong's two sides came out with only a further nineteen solo, concerted or concerto sides issued before 1927 in any format marketed by G&T and HMV. Only the dedicated discographer need read further but I thought I could explain the dating of these discs and thereby by default the probable dates of Vladimir De Pachmann's first recording. 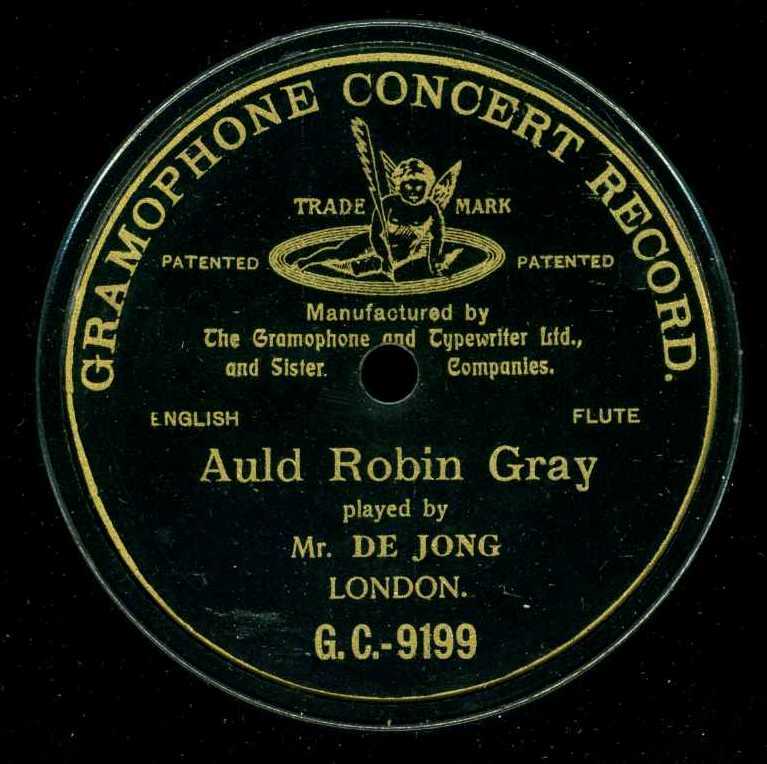 Will Gaisberg who recorded these records returned from the Bombay on the Wednesday 1st May 1907 and so is known to have begun recording at the City Road studio sometime that month. On his return the block of 10" matrix numbers was restarted at 6001e the last number used by Will in India being 5560e. Vladimir De Pachmann was the first person recorded by Will Gaisberg on 6001e, 6003e and 6004e [6002e was not issued], there is then a short gap before de Jong's two issued matrix number 6008e and 6011e [6009e and 6010e no doubt being rejected]. There is then a long gap of twelve unknown matrix numbers before a choir composed Fishermen of the North Sea Trawlers (in conjunction with the National Mission to Deep Sea Fishermen) recorded three selections beginning with 6024e. Will Gaisberg doubtless took a couple of days off after the voyage so probably did not actually start recording again until Monday 6th May. So to get a fix on the date of de Jong's recording sessions so I suggest the following chronology. 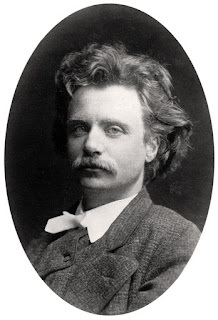 De Pachmann gave his last concert in London before his two year tour to America on Wednesday 8th May and the The North Sea fishermen must surely be connected with the annual meeting of the National Mission held at Exeter Hall on Friday May 10th 1907. This last was advertised as including 'One Hundred North Sea Fishermen [who] will attend and take part in the proceedings.' So these recordings by the fishermen could very probably have been made on the following day, I would presume that working fishermen were very unlikely to remain in London too long after the meeting was over. I suspect the recordings by de Jong were made on or about Wednesday the 8th May just a few days after de Jong had celebrating his jubilee. I also suspect that De Pachmann recorded on Monday or Tuesday that week but also feel he returned to the studio for a second second session on the Thursday or Friday. It is this second session that may partly account for the missing matrix numbers after de Jong's 6011e. There is a similar gap of four matrix numbers in the De Pachmann's 12" series recorded at the same time, so it is also possible that de Jong may have attempted a longer composition during his recording session. This is all quite speculative but but it would seem a sensible plan as The Gramophone &d Typewriter Ltd may have thought to make enough good recordings of De Pachmann before he went abroad for a two year period of concert tours, Enough time then to have tests approved before De Pachmann left the UK sometime in the middle of June 1907 [he arrived at New York on the 27th June]. One final point is that I have ascribed the piano playing to Madame Adami with no proof whatsoever. although it is very probable that she is playing on these records for from 1907 she had become the house pianist at G&T and featured quite prominently in some publicity at this time - more about this mystery woman in a later post.